Shipping 41.5 million smartphones, the company once known as " the Apple of China" was the No. 5 brand in China last year, according to market researcher IDC . It was edged out by the actual Apple, which at No. 4 shipped 44.9 million iPhones to China, the world's largest phone market. Both companies dipped in shipments last year. 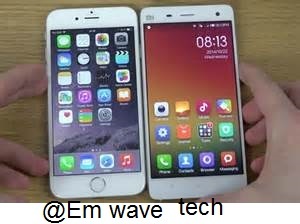 Apple dropped from 58.4 million iPhones in 2015 and Xiaomi from 64 million Mi phones, drops of 23 percent and 36 percent, respectively. The big winner was Oppo, which shipped 78.4 million phones -- more than double the 35.4 million it shipped in 2015. Huawei came in at second, shipping 76 million phones, while Vivo managed to almost double its shipments, going from 35 million in 2015 to 69 million last year. done, but rather that Chinese consumers are holding out for Apple's 10-year anniversary iPhone. Originally gaining popularity for its quality- on-a-budget phones and online flash sales, the company has struggled to keep up with a gang of new competitors who've adopted those same tactics. Xiaomi, meanwhile, looks to be foregoing a US expansion and is instead doubling down on China and developing markets like Brazil. Xiaomi, which just lost high-profile exec Hugo Barra to Silicon Valley, has recently diversified with a more premium-quality phone in the Mi Mix.